JUST LISTED: Immaculate single level home with a backyard oasis! This lovely 4 bedroom home in Tatum Highlands is priced at only $425,000! 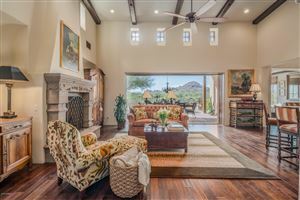 Beautiful Tatum Highlands single-level home for sale. The home sits on a large cul-de-sac lot with North/South exposure. The home is light, bright, and airy with a split floor plan. The large kitchen with gas stove, pantry, breakfast bar, and kitchen nook is open to family room. Bose surround sound, custom built ins throughout. For those who enjoy expanding your living area outdoors, you are going to want to see the backyard oasis with a Viking grill, pebble tec pool, cozy real wood burning fireplace, large covered patio and beautiful cactus garden. The home also has an RV gate and a 3 car garage. 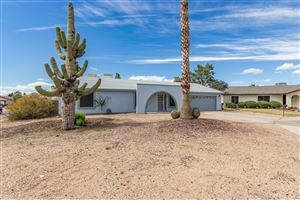 Close to Desert Ridge, and is within the Cave Creek award winning school district. The location has easy access to 101 and other major freeways. This charming home is absolutely immaculate and well maintained. This lovely home in Tatum Highlands is perfect for either a family or a couple. It is 2,509 sq feet, with 4 bedrooms and 2 full baths. It boasts a split floorplan, so with a family, the master is separate from the other bedrooms. There are two living areas as well. The floorplan is open and spacious with high ceilings to make it seem even roomier. The fabulous backyard adds extra living space with several sitting areas, including one next to a very cozy wood-burning fire place. For a couple, the home offers plenty of room to grow and/or have guests come and stay. For those folks who live in the colder climates and want to consider a second home, this immaculate home in Tatum Highlands is perfect! Did you see the outdoor space? Imagine sitting by that pool in February when it is 80 degrees and sunny? And grilling steaks or chicken on the built-in Viking outdoor grill. If it gets chilly one evening, no problem. Just move over to the woodburning fireplace and warm up in front of the fire! If you would like more information about this listing, or would like to set an appointment to see it, please contact me at 602-295-9695 or [email protected] See below for some more still pictures of the home.